Several of our customers have asked us this question: “I am not a core facility, nor do I have a huge lab and therefore I do not have a lot of RNA-Seq data. Should I buy a subscription to iPathwayGuide or should I purchase each analysis individually?”. That’s a valid question that I might as well discuss here. If you do not have a lot of time and you are looking for the bottom line, here it is: the individual analysis is meant to give you the ability to fully explore the capabilities of iPathwayGuide on your own data. You do get to use all capabilities of the platform and you do get complete and up-to-date results for your data. 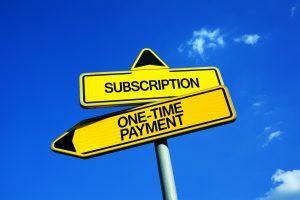 However, if you really want to fully understand your experiment, get the most out of your data, and keep your knowledge current, you will want a subscription. See the true story of one of our customers below. A one year subscription typically allows you to do up to 200 analyses. Most PIs would think: “Hey, I only have one experiment right now. Furthermore, I certainly do not expect to do more than 199 experiments and an individual analysis is much less expensive than a one-year subscription so I will purchase a single analysis”. This reasoning is not necessarily correct. The 200 analyses is just an upper bound. 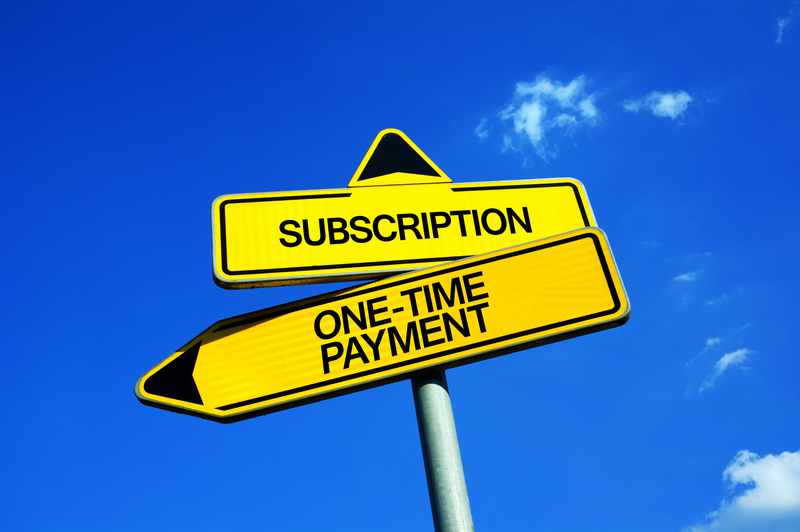 A subscription might be in fact the more cost-effective approach. Let’s just take as an example what happened to one of our recent customers. He contacted us because he was impressed by iPathwayGuide, and he wanted to use it to analyze his experiment. His experiment involved 2 treatments, T1 and T2, and one control. The customer wanted to compare the 3 phenotypes as follows: T1 vs Ctrl, T2 vs Ctrl, T1 vs T2. He also wanted to do a meta-analysis to look for how the various impacted genes, pathways and biological processes are changing across these three contrasts. He followed the reasoning above and concluded that purchasing one analysis at a time was the way to go. So he started by purchasing 4 analyses, one for each contrast above. A short while after he analyzed his data, we released a new version of the software with greatly enhanced capabilities including a very powerful network analysis. All of a sudden, this customer faced the choice of re-analyzing his data or accepting that his results are not as good as they could be: additional insights and knowledge are available but will be left on the table. He decided that he wanted to re-analyze the data. The same thing happens when our knowledge base is updated. In our latest new release, we added 28,353,480 peer-reviewed references, 7,705,042 protein-protein interactions, and 401,213 supporting experiments. We do this kind of updates, every few months. When new data becomes available, any report using old data will be flagged and you will have the ability to re-analyze the data using the latest knowledge and annotation. If you analyzed your data by purchasing an individual analysis you will face the choice above: stay with outdated results or re-analyze. Most scientists will want to analyze their experiment using the newest discoveries, not yesterday’s deprecated annotations. This is the point at which our customer above decided to switch to a subscription. With a subscription, he just pressed a button and his analysis results were automatically updated, no need to re-upload the data. With individual reports, he would have had to pay for every dataset re-analyzed. Finally, there is the all-important question: “how much do my conclusions and results depend on the arbitrary thresholds I selected at various points?” For instance, if I used a cut-off of +/-1.5 for the log fold change and 5% for the significance when selecting differentially expressed genes, would I see the same impacted pathways or biological processes if I used a cut-off of +/-2 fold for the fold change and 1% significance threshold? With a subscription, answering this question could not be easier: just resubmit the data with the new thresholds and perform a meta-analysis of the results obtained with the old and new threshold. Everything can be done in minutes, at no additional cost. With individual analysis purchases, the more sophisticated you are, the more expensive it can get. The bottom line is as follows. If you care about your experiment, get a subscription. It will allow you to slice and dice your results as needed, as well as keep the results up-to-date for the entire duration of your subscription, at no additional cost. I would not want to compromise the results of an experiment that probably cost many thousands of dollars and required many months of work, in order to save a few hundreds.